It is said in Srimad Bhagwatam (10.32.22) that the Lord is perpetually indebted to his devotees on account of their selfless service rendered by them to him. Even if he tries to repay them back, it would not be possible for him in the lifetime of one Brahma (some 311 trillion years). This feeling of eternal gratitude marks one of the loving relationships between the Lord and his dear devotee. And when we talk of great devotees like Gopis of Vraja, Lord Shiva, Prahlad Maharaj, Bali Maharaj etc, the name of Sri Hanuman always comes to mind. Therefore, Hanuman Jayanti is the pious day on which Sri Hanuman descended on earth in order to serve the purpose of his eternal master, Lord Ram. And he, being an unalloyed devotee of Sri Ram is revered by all Ram bhaktas. 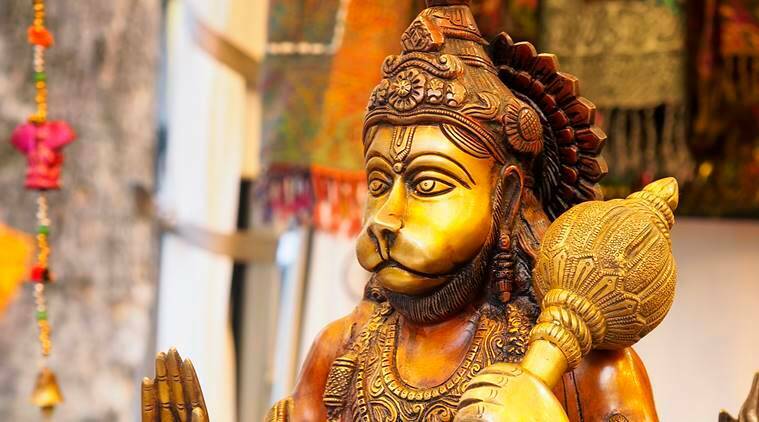 As per Uttara Kanda of Valmiki Ramayana, the appearance of Sri Hanuman dates back to the beginning of Treta Yuga of the sixth Manvantara of Vaivasvata Manu i.e. around 2.59 million years before. There has been no specific recording of his birth date and it is a subject of discussion. As per the standard authorities and popularly followed traditions, people accept Chaitra Purnima to be his birth date. He appeared on Tuesday during the dawn hours. 2 Good Friday 2018: Why Do We Call it Good Friday?